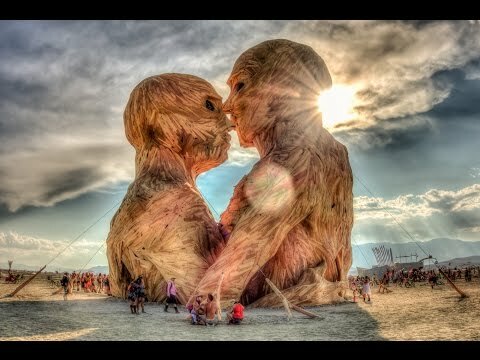 So, anyone going to Burning Man this year? I ask this every year, and damn it, some year it's going to happen and there will be an Achaea meet on the playa. It'll make me inordinately happy to combine these two very important parts of my life. When are you going and what's needed for the event? I keep missing it every year. Check out the whole site actually. It's got a lot of info aimed at first-timers, from what to expect to a fairly elaborate history of the event. Survival guide for 2015 is down for maintenance at the moment. Will check later. I'd plan the date but I also need the date that everyone else, or just @Sarapis really for the meet, is planning to do(nothing worse than missing a meet during a month long event). I'm always there all week. It's the week before Labor day weekend. The gates open 8 days before Labor day (Sunday, though if you're helping to build a theme camp you arrive earlier), the Man is burned Saturday night (2 days before Labor day), the Temple is burned Sunday night (1 day before Labor day), and you have to leave by Tuesday, the day after Labor day, at the latest. Labor day is Sep 7th this year, and Sep 5th next year (2016). I typically arrive either the day the gates open or the day before if I'm helping to build or organizing a project out there, and then leave either Saturday night before the Man burns (to avoid exit traffic, which can be brutal) or early the next morning. Without knowing any details of 2016, I can pretty much guarantee I'll be there all week. I'll probably miss that for the next five years due to the electricial apprenticeship program that I'm starting this year which inconveniently starts probably in the later part of August. Curse my luck! I think I totally confused the length of the festival. It's only the one week or four separate weeks with the burning on the last one? It's basically 8 days. Sunday to (the next) Monday, with people arriving anywhere from weeks before (if they're building really big things) to mid-week. That makes planning easy then. Unless you are well shaded or regular application of strong sunblock? Well, my wife is quite sun-averse, and often carries a parasol around to provide mobile shade out there. Yeah, I really want to hit Afrikaburn sometime. Never been to sub-Saharan Africa at all. @Sarapis I just organized myself a 4x4 pickup, so I'm already making plans for water, fuel and comfortable living. Comfort being relative to kalahari conditions of course. Give me a shout if you want tickets for 2016, I'll be quite close to first in the queue when they go on sale.